Dressings: Blue Cheese, Thousand Island, Ranch, Oil & Vinegar, Honey Mustard, and Balsamic Vinaigrette. Low cal available in Italian, French, Thousand Island, and Ranch. 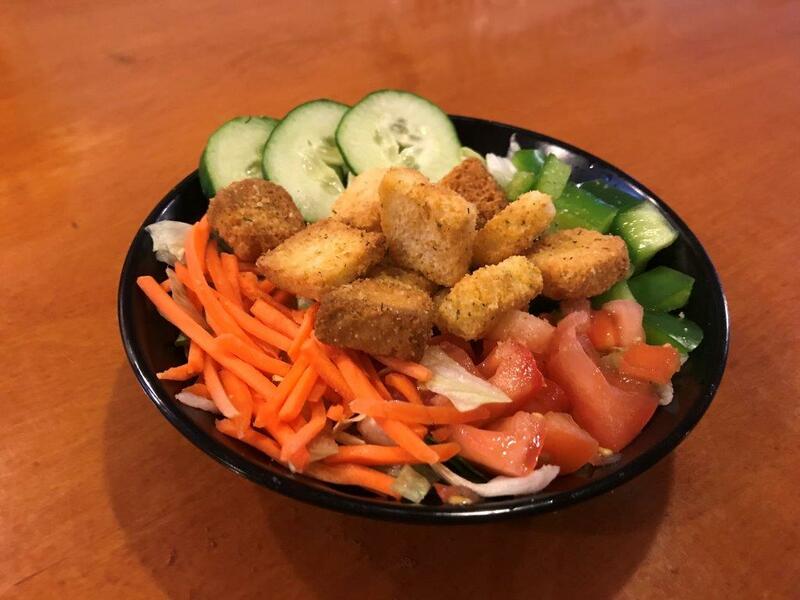 Iceberg lettuce, diced tomatoes, cucumbers, carrots, bell peppers, and croutons. 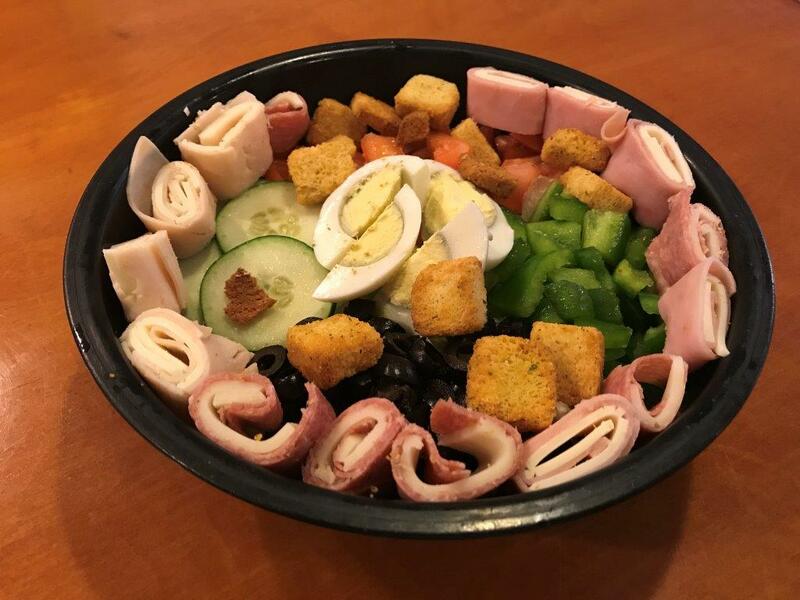 Iceberg lettuce, tomato wedges, hard-broiled egg, meat & cheese rolls, garnished with bell pepper slices, ripe olives, cucumber slices, and croutons. A cheesesteak hoagie or "chicken-steak" hoagie, served in a bowl with iceberg lettuce, tomato, and grilled onions, without bread. 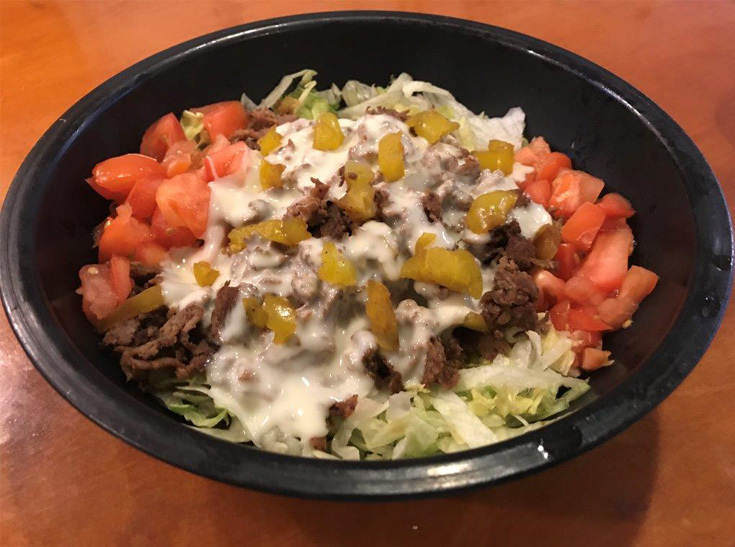 Same great taste without the carbs! 5 oz. 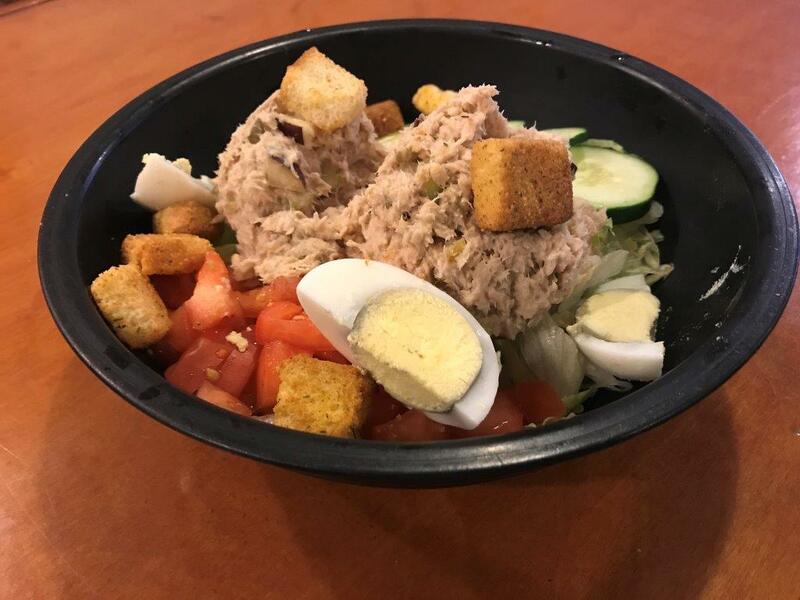 fresh tuna salad served on a bed of iceberg lettuce. Garnished with diced tomatoes, cucumber slices, hard-boiled egg, and croutons. Low-cal mayo. 5 oz. fresh chicken salad, all breast meat, served on a bed of iceberg lettuce. 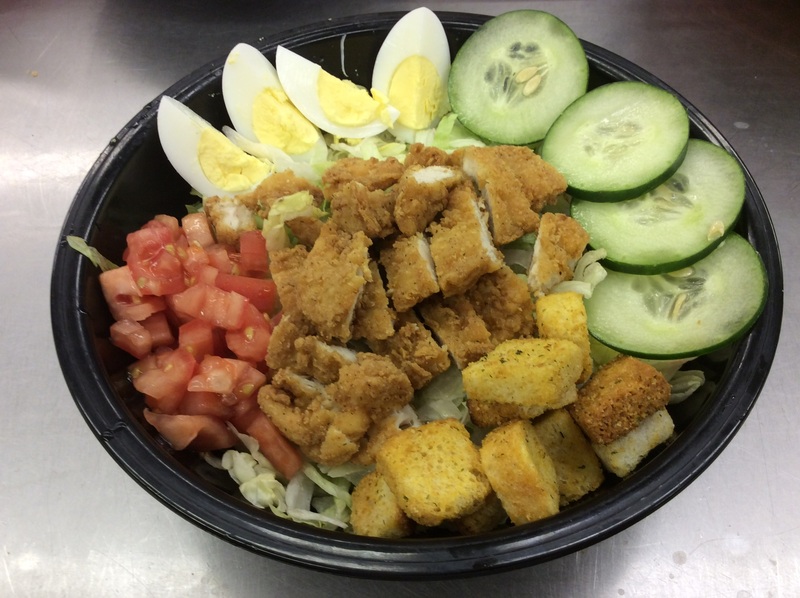 Garnished with tomato wedges, cucumber slices, hard-boiled egg, and croutons. Low cal mayo. 4 1/2 oz. chicken breast, grilled, served on a bed of iceberg lettuce. 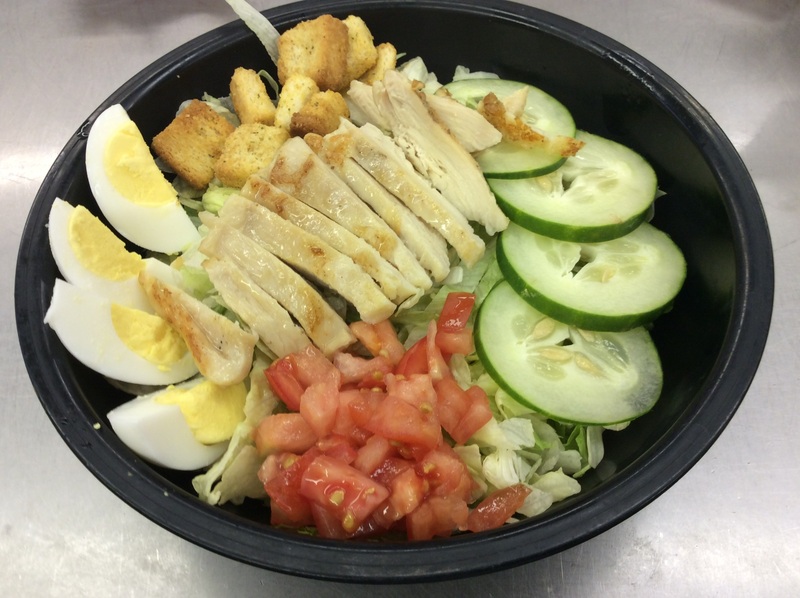 Garnished with hard-boiled egg, cucumber slices, and croutons. Three chicken tenders, breaded and deep fried, served on a bed of iceberg lettuce. 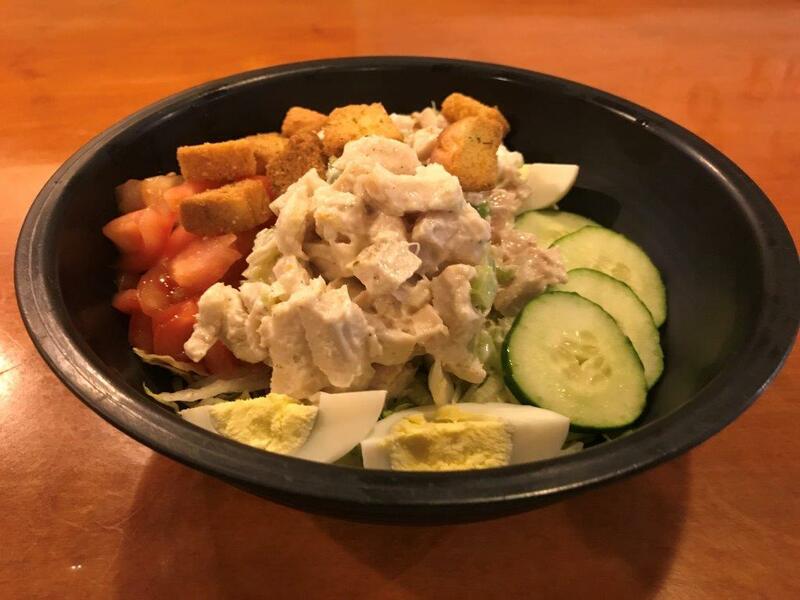 Garnished with hard-boiled egg, cucumber slices, and croutons.